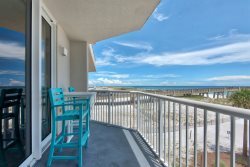 There are a number of great bars, grills and cafe options throughout Navarre Beach that are sure to satisfy your beverage and food cravings. Perfect burgers, po-boys, fried seafood and more await you at these area favorite joints! With favorites such as Johnny`s famous fish tacos, fresh 1/2 pound burgers, fresh salads & grilled oysters, Johnny Huston`s Grill and Bar is your new favorite place! Philly steak sandwiches, pizza, roast beef po-boys and hand-breaded seafood (New Orleans style)spiced just right. Located 3 miles west of the Navarre Beach bridge. Just over the Navarre Bridge, Helenback Again is a great spot to grab a bite to eat and relax, or watch your favorite team. Located on the Sound waters near the Navarre Beach bridge. Just over the bridge, you can eat with the luck o` the Irish! O`Connor`s Irish Pub & Grill is a new Irish/American restaurant with drink specials, authentic Irish food, local favorites, and a kids menu. TC`s offers casual outdoor dining with a menu that includes burgers, steaks, seafood, and Po Boys. Locted on Hwy.98 at the Navarre Beach Bridge. This brewery, new to the area, has everything someone visiting this area would want. From craft beers made on sight to brick oven pizzas, as well as a full menu, they have a little something for everyone. Grab a bottle to go or sit down and enjoy a glass of wine in a relaxed atmosphere with a yummy plate of food to go along. From friend calamari to burgers and pie, Sailor`s Grill has a wide variety of delicious bites! Serving breakfast, lunch, dinner and a variety of fresh baked goods daily. The grille and bakery are located at the foot of the Navarre Beach Bridge on the island. They are famous for their sticky buns and key lime pie. Dine with a view or in the comfort of the dining room. Or take something to go!